Back in the early Spring, I shot the elopement of two of my dearest friends. It was especially meaningful because it was the first time I'd returned to the Manhattan City Hall since my own wedding! These are just a handful of my favorite images from the portrait session afterwards (can't believe it took me until now to share them). 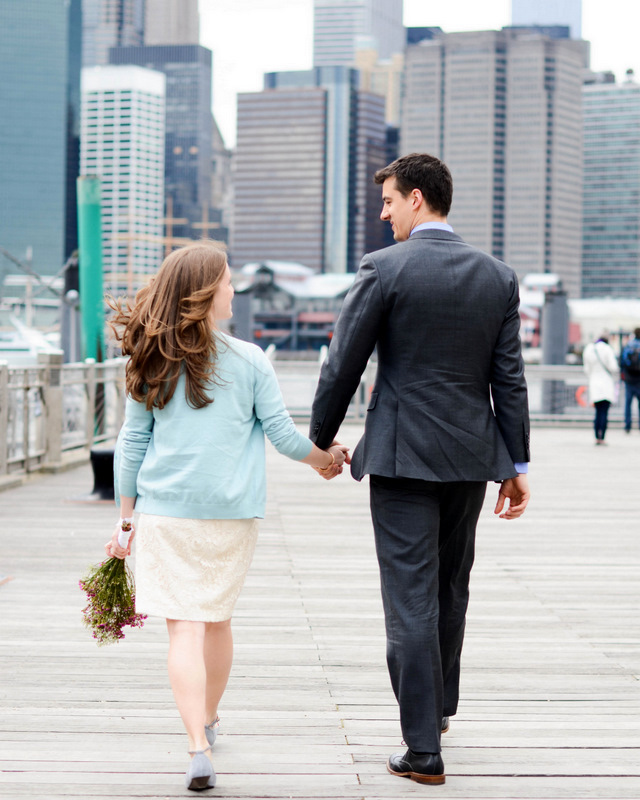 We gallivanted around Brooklyn Bridge Park: the two lovebirds even brought an iPod dock in order to have a "first dance" by the water. Tomorrow, surrounded by of all of their friends and loved ones, Elizabeth & Grant will celebrate their marriage in Erie, PA and Tiho and I will be there to capture the entirety of the big day. I cannot wait! Thank you, Kayla! You are so talented and we feel so lucky to have shared both days with you!